TravStar1 Point Of Sale SystemRegister Manual Basic Register FunctionsHow Do I Pay In To My Cash Drawer? How Do I Pay In To My Cash Drawer? Type the amount of cash you are adding to your drawer using the number pad on the keyboard. In this example, we are adding 25 dollars to the drawer. Touch the "Paid In" button. 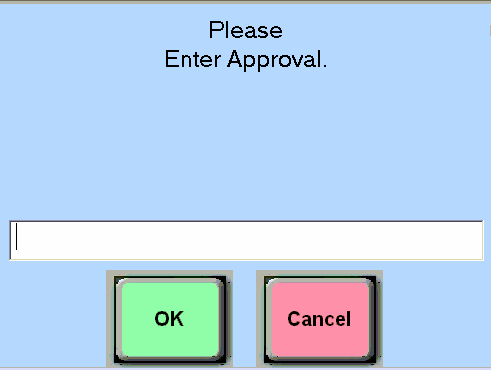 You will be prompted to enter an Approval. The Approval can be a name, number, or short message (e.g. "Cathy", "2214", "Vendor refund $25.00"). It is simply used to identify the reason for adding cash to the drawer. 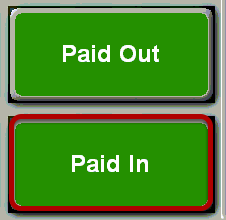 In the top left portion of the screen you will now see the Paid In amount along with the Approval that you entered. Prev: How Do I Suspend and Resume a Transaction? Next: How Do I Pay Out Of My Cash Drawer?